"A Grumpuss is not like a dragon — rather more like a large, surly cat, with tremendous paws, and gigantic claws, and jaws that can crush armor flat!" 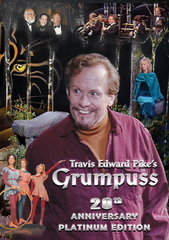 says Travis Pike in his critically acclaimed, award-winning Grumpuss 20th Anniversary Edition of his 1997 performance in rhyme, on DVD. 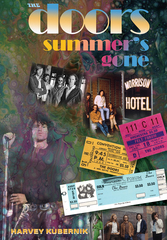 Harvey Kubernik's new book, "The Doors: Summer's Gone," is scheduled for publication early in 2018, joining the veteran music journalist and author's burgeoning catalog of music and pop culture titles. 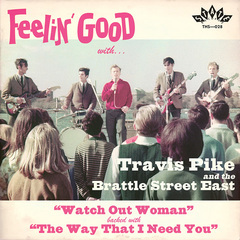 73-Year-Old American Rock 'n' Roll Retread Travis Edward Pike Gaining Traction in the U.K.
American rocker Travis Pike's '60s recordings are making waves across the Atlantic. 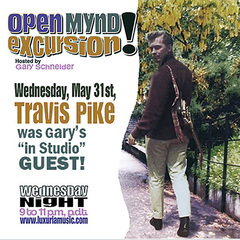 Gary Schneider's Open Mynd Excursion with special guest, Travis Edward Pike, now posted online, showcases many of Pike's sixties' favorites and premieres several of his 21st Century songs, as well. 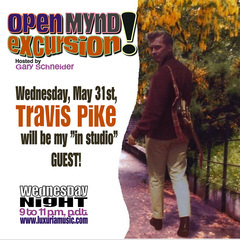 Cave Hollywood Posts Harvey Kubernik's Interview, "Travis Pike's Career Re-launch Celebrates the Fiftieth Anniversary of the 1967 Summer of Love." At 72, entrepreneur Travis Edward Pike (with a little help from his friends), is well on his way to re-launching his career in the Entertainment Industries.